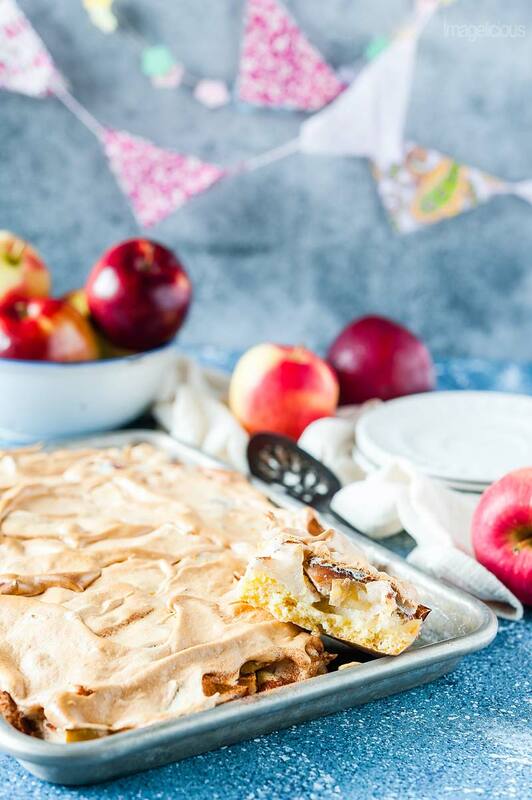 This Apple Meringue Tart is a gorgeous and delicious dessert at any time of the year. It looks beautiful and tastes festive and elegant. With a touch of cinnamon and soft and pillowy meringue topping. 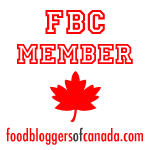 This blog post is sponsored by Ontario Apple Growers. All opinions are my own. I recently got a chance to go to an Apple Farm and an Apple Processing Plant tour. That was an absolutely amazing, informative, and fascinating experience. I learned a lot about how much effort it takes for the Ontario farmers to grow apples. I saw thousands upon thousands of apples being sorted. I smelled what it’s like to be surrounded by tons of fresh Ontario apples. Did you know that there are 21 sizes of apples but only 5-6 sizes are available for consumers? Did you know that most apple juices in our grocery stores are made from concentrate which is imported from China and not from Ontario? I did not know that! Apples are one of the healthiest and easiest snacks you can get. Apples are also very affordable. Just remember to look for the Foodland logo to make sure that you are buying Ontario grown apples. How do you like your apples? I love mine either eaten raw or baked in sweet or savoury dishes. When I eat Ontario apples, I eat them whole and only leave the stem when I am done. In fact, the core is one of my favourite parts of apples. Is it weird? It’s a little bit weird, right? I love cooking with apples and adding them to pork like in my Pork Loin with Sauerkraut and Apples. And, of course, I love baking with apples! One of the most popular desserts in Russia is called Sharlotka (I call it Quick and Easy Cake) and every family has their own variation of the recipe. It can be made with different fruits but apples are the most common and familiar. Even now whenever my mom comes over for a family dinner, Apple Sharlotka is the dessert she brings. I use exactly the same recipe as she does but mine always turns out really different. The Apple Meringue Tart is a variation of my Strawberry Meringue Cake which in turn was a variation on another Russian recipe that I found online many years ago. When I saw it first back in 2005 I was a little bit surprised by all the comments on that post. Apparently, it was a very common dessert in many Russian families, yet I’ve never seen anything like this when I was little. After trying it for the first time, I felt slightly cheated as I spent years of my childhood without enjoying this dreamy cake. Growing up in Russia, there were not that many names for sweet pastries. Layered desserts were called Cakes (or actually Tortes). There was a different name (Keks) that encompassed quick breads, muffins, loaf cakes, and bundt cakes. And all the flat, one layer desserts were called pies (Pirogi). I am generalizing a little bit but not much. Brownies, cookie bars, tarts, crostatas – all those are common now but were not in the vocabulary a few decades ago. I guess it was easier to classify desserts that way. Even now I am not entirely sure if Apple Meringue Tart is an appropriate name for this delicious sweet. In Russian, I would call it a pie. The pastry is reminiscent of either a very soft cookie or a very dense cake. So, you decide what to call it. To make the pastry in the Apple Meringue Tart a little bit healthier, I substituted Farmers Cheese for half of the butter. Mixing Farmers Cheese (aka Pressed Cottage Cheese) with butter is very common in Russian baking and it’s a base for many pastries including Farmers Cheese Cookies. Farmers Cheese makes the dough softer and fluffier and less crumbly. It is the ingredient that makes the pastry more like a cake and less like a dense cookie. It can usually be found in the dairy aisle of your grocery store, next to yoghurts and kefirs. The meringue part of the Apple Meringue Tart is very subtle as I only use 3 egg whites. It becomes a thin layer that tastes like marshmallow. If you prefer a more traditional fluffy cloud of meringue then use 5-6 egg whites and increase the sugar. My husband, who notoriously doesn’t like meringue or marshmallows, keeps telling me to omit that layer but I think it’s delicious and it makes the tart look very pretty. For the actual apples that are the star of this dessert, I used Ontario Cortland Apples. They are semi-tart and the slight tartness pairs wonderfully with the sweet meringue and pastry layer. I didn’t peel them and used 3 large apples roughly chopped, enough to cover the whole tart in a single, yet thick layer. 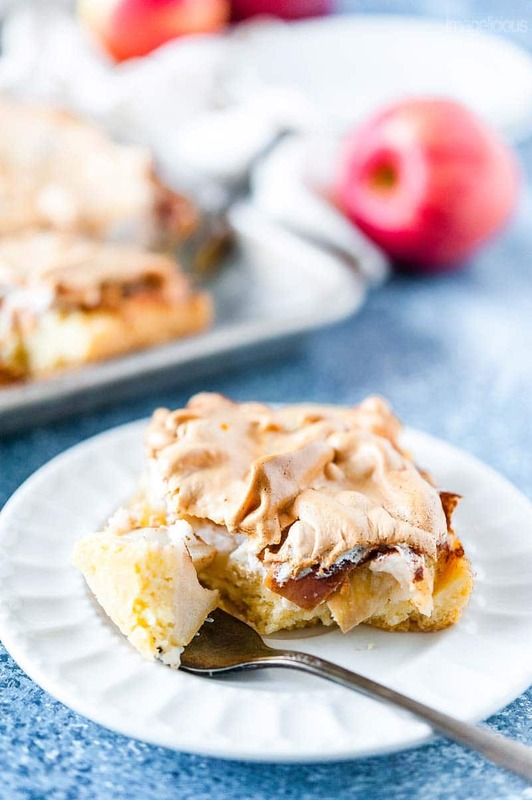 While developing this recipe I made Apple Meringue Tart with thinly sliced apples once, and although it tasted delicious, I really liked the texture of chopped apples better. If you don’t have Cortlands or wondering about different uses for common varieties of Ontario apples, use this handy guide. Butter and flour a quarter size sheet pan. Common dimensions of the quarter sheet pan are 9x13 inches. In a medium-size bowl, combine the room temperature butter, farmers cheese, both sugars, and mix until well combined with a mixer. Because of the farmers cheese, the mixture will not be fluffy and you will see flecks of white cheese but it should be soft. Add the egg yolks, vanilla, salt, and mix well. Add the flour, baking flour and mix until combined. The dough will most likely still be a bit grainy but it'll stay together if pinched. Spread the dough evenly onto the prepared sheet pan. 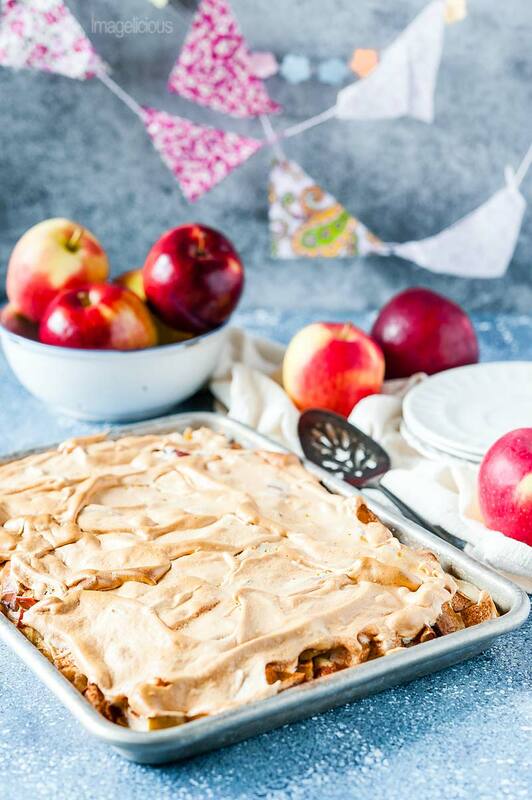 Put the prepared sheet pan in the fridge while you are getting the apples and meringue prepared. Using a mixer, start whipping the egg whites in a medium-sized clean bowl. After the egg whites start to foam a little bit, add a pinch of cream of tartar if using. Start adding sugar a teaspoon at a time, whipping for a minute between each addition. Whip on high speed until medium meringue forms. It needs to be firm enough to stay in place but soft enough to be spreadable. Core the apples and chop into 1-inch pieces. I like to quarter the apples, then slice each quarter into 3 wedges and cut each wedge into 4 pieces. No need to peel the apples. Spread the chopped apples over the chilled dough. Sprinkle evenly with the cinnamon. Spread the meringue over the apples. It will be a thin layer that may not reach the edges of the pan but it'll expand a little bit in the oven. Bake in the preheated oven for 1 hour. After about 40-45 minutes you might need to cover the pan with foil if meringue will start to brown too much. The meringue layer in this Apple Meringue Tart is really thin. It's more like a marshmallow icing. If you prefer a more traditional high meringue then use 5-6 egg whites and a little bit extra sugar to make the meringue. Yep, apple meringue isn’t the most common combination but it tastes really good! 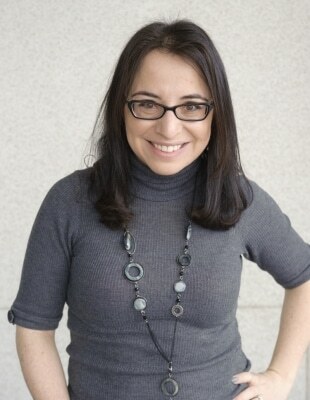 I really like your blog, your recipes are great! 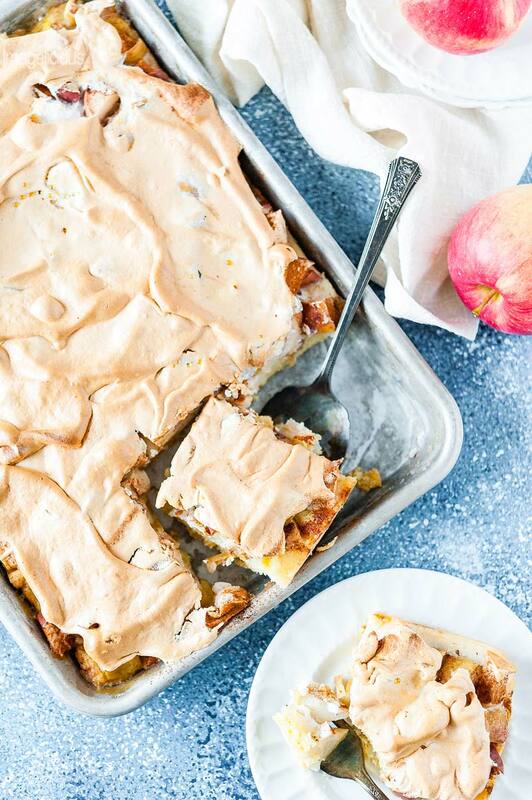 That apple tart is calling my name and the pillowy, meringue topping is just magical! Why didn’t I think of that! 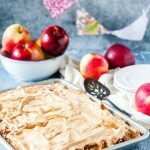 Love sheet pan desserts so this is a must try for me! Pinned!! Thank you so much! Yes, apple and meringue is not the most common combination but it’s delicious! That meringue topping is gorgeous! What a stunning dessert! I like my apples baked with a little honey , cinnamon and brown sugar. However, the meringue on your tart looks divine! This might become my new favorite. I too love baked apples! I would have never thought to put meringue and apples together. What a great idea. I am loving the slab pie idea in the sheet pan. So cool! Yep, it’s not the most common combination but it’s delicious! Wow – that looks delicious! 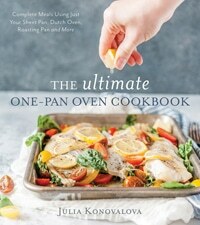 And love that it’s done on a sheet pan. I love baking on a sheet pan! Wow I’m so excited to taste this lovely desert! Can we use pear or mango in another variation also ? Thank you. I am pretty sure you can make it with pear or mango. Try strawberries also, I’ve made a similar cake with strawberries before. This tart looks beautiful and I bet it is delicious! Perfect for the holidays! I love meringue but never tried it with an apple dessert. This cake, pie, or whatever name you give it, looks scrumptious! I would LOVE to visit an orchard! That’s so cool! Apples are one of my favorite fruit, but once they’ve been sprayed with wax, I have a horrible time eating them. Whatever they put on the peels makes me cough constantly! When I can find non-sprayed apples it’s the best thing ever! And this dessert looks incredible! Oh no! Too bad about that reaction that you have. I have a weird reaction to eating lettuce 🙁 I miss salads. Ok…YES weird about the apple core….but then again we all have our little quirks. I LOVE cutting leeks…weird right?? Cortlands are my favourite apple to bake with. This cake looks like my kind of breakfast actually. To some that might be weird…but not to me!! Yum! Ok, I’m sold. I’m getting my hands into this tart! Thank you for the informative post about the apple farm. Totally crazy about concentrates being imported from China! This looks so good…I love that topping.